In early 2014, the “villainous” Arthur Chu annoyed watchers with his bouncing around the board and perceived arrogance. Less than a month after Chu’s run, Julia Collins would win 20 consecutive shows becoming a top-three player all-time and the winningest female of all time. With eleven straight wins and winnings just over $339,000, Jackson has burst onto the Jeopardy record books with his creepy smile and awkward “BOOM!” celebrations. The 23-year old won another game Friday night, so Jackson and his slow-developing smile tied Chu for fourth all-time in total wins and leapfrogged the infamous Arthur Chu in total winnings. 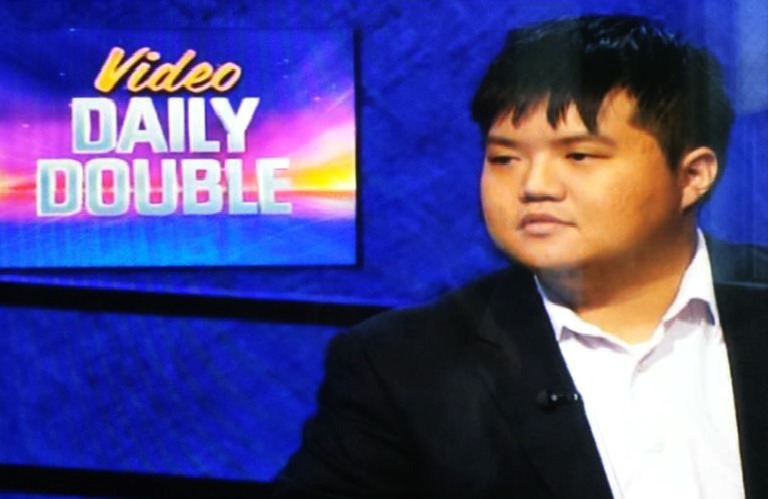 Chu was last year’s fascinating Jeopardy contestant with an unorthodox approach to the game. And with every “Daily Double”, Jackson pushes down more big names on the top ten list of winningest (standard) Jeopardy players. The game has changed with James Holzhauer; the holder of several of the biggest single-day winnings and the perfect Jeopardy game. His insane run has Jeopardy-heads wondering if he’ll catch Ken Jennings. 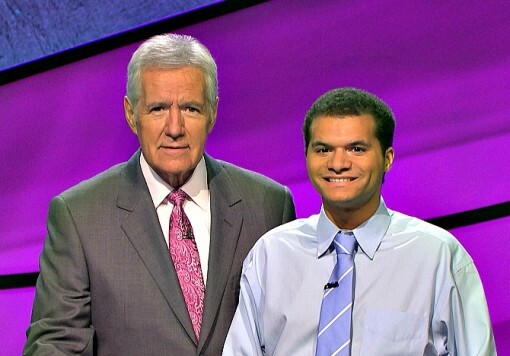 Since then Seth Wilson in 2016 and Austin Rogers in 2017 have both added their respective accomplishments to Jeopardy’s all-time list for both winnings and wins. Not only is Matt Jackson in the top five in all-time winnings, but he’s also top-five with most Jeopardy! wins. For the most updated list of Jeopardy winners, winnings and winning streaks, go here. And also see our list of the most money won on any given episode. After dispensing of Chu, he has a ways to go before moving up to the third place spot. At this point, Matt Jackson is approximately $140,000 behind Julia Collins, whom became Jeopardy’s winningest woman right after Chu made headlines last year. Jackson will likely need to win at least another 5 times to start sniffing Julia’s solid lock on third place all-time. To take second place, he’ll need just $1,301 to usurp the legendary Dave Madden. To get to first place, he’ll have to hunker down and win another 60-70 times to start making Ken Jennings sweat (and we all know that Jennings doesn’t sweat, being a robot and all), who holds the record at $2.5 million and 74 total wins. Related Jeopardy Posts: Jeopardy Records: Austin Rogers’ historic run, Austin Rogers Betting, and Winning, Big, Wait, is Austin Rogers Gay?, Who is Lisa Schlitt?, Julia Collins is Jeopardy’s Winningest Woman, Seth Wilson Rises Up, Arthur Chu takes on ‘Haters’, Jeopardy’s All-Time Winners! The 15 Contestants with the Highest Single Day Winnings on Jeopardy! Helloooo, Seth Wilson! He’s at 10 wins and counting as I’m writing this – how much more’s in the tank? Hi Christoper — Caught wind of him last week and he wasn’t top ten, so thanks for the reminder! What happened to Stephanie Jass? I heard she was arrested and served jail sentence.